Who needs another red beans and rice recipe? We all do when it's this good. Even though a search on the Internet for "vegetarian red beans and rice recipe" returns more than two million results, there's always room for one more when it's different and outstandingly tasty. This recipe is easy to make, although it does have a lot of parts. It is by no means a quick meal, but you will be rewarded with an unusually savory dish, rich and earthy with a slight touch of sweetness, a vegetarian dish that appeals to the sense of umami. This recipe also makes a lot of food and freezes well. Although I cook for one, I put the effort into this red beans and rice dish so that I can freeze individual portions for quick meals on the fly or for when unexpected company comes calling. Optional: Hot sauce, diced jalapeno peppers, or ancho or chipotle chiles in adobo to taste. If you use the chiles in adobo, reduce or eliminate the liquid smoke. Thinly sliced scallions and grated Parmesan cheese for garnish, if desired. Colgin's Natural Hickory Liquid Smoke is the ingredient that gives this recipe its distinctive savory, smoky taste and aroma. 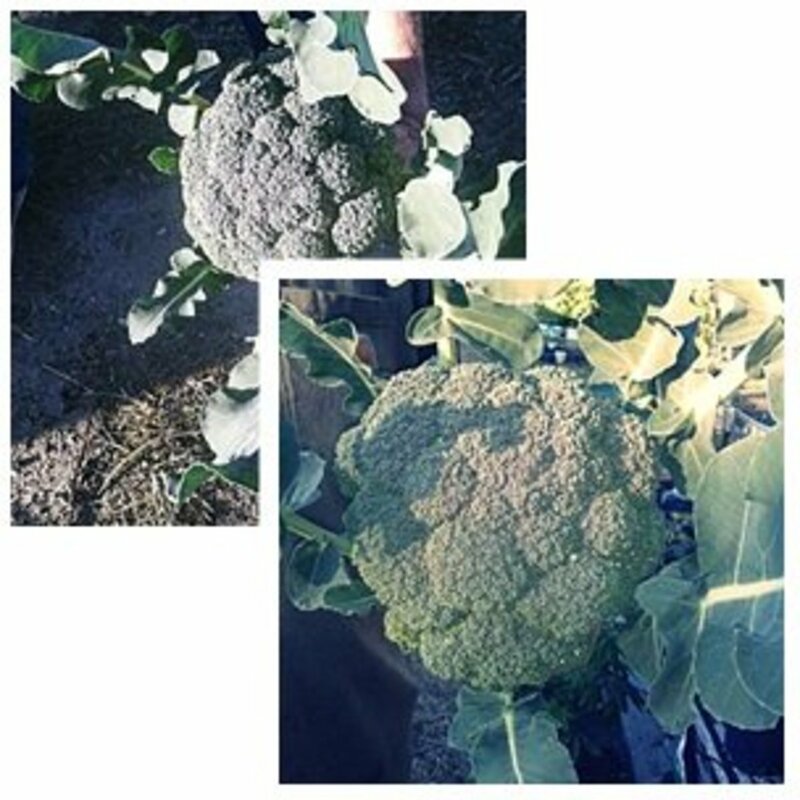 Colgin's contains no additives or preservatives and it is a vegan product. It also packs quite a smoky punch. A little goes a long way. In a large, heavy-bottomed soup pot or Dutch oven, pour in the 6 cups (total) of water and vegetable stock and add the beans and bay leaves. Bring to a boil, cover with the lid ajar, and keep at a gentle boil until the beans have just begun to get tender, about an hour. Stir frequently to make sure the beans are not sticking. 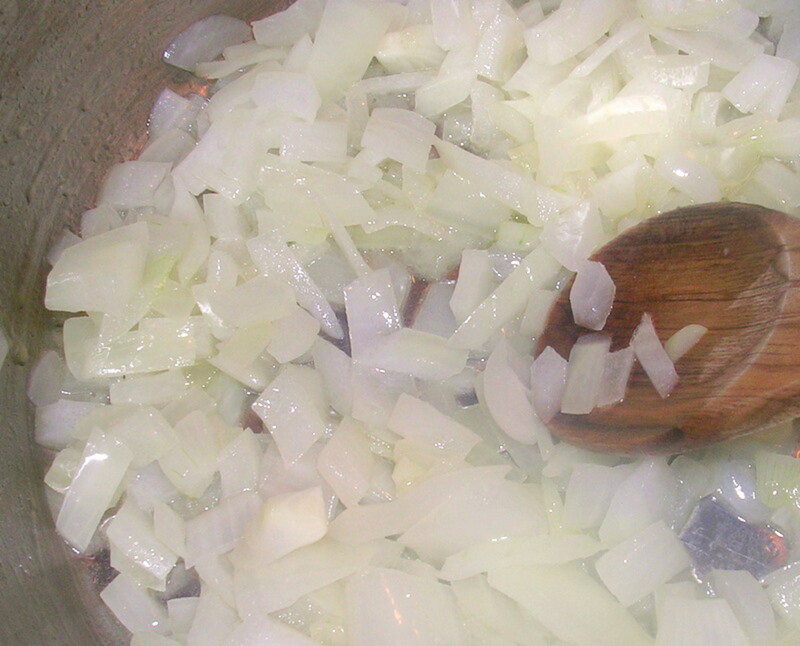 While the beans are boiling, heat the olive oil in a skillet and add the diced onions. Cook on low, stirring infrequently, until the onions are transparent and starting to get golden - about 45 minutes. To save some time in the preparation, you can dice the bell peppers (and optional hot peppers) and celery, grate the carrots, and mince the garlic and ginger while the onions are sautéing. When the beans have started to become tender, add the sautéed onions and stir. You want to keep that gentle boil going, so up the heat if you have to. Then add all of the other ingredients, except the tomatoes. As when you added the onions, keep a boil going while you add the carrot, celery, and green bell peppers. Optionally, add hot sauce, jalapeno peppers, or ancho or chipotle chiles in adobo. If the beans are starting to stick to the pot, add more vegetable stock. Heat the stock to boiling before you add it to the bean pot so that you don't cool the pot down. The beans have more cooking to do. When all the ingredients except the tomatoes are in the pot, cover with the lid ajar, reduce the heat so that the beans are simmering, not boiling, and cook until the beans are tender, stirring and adding vegetable stock as needed. This part of the cooking will take approximately an hour, depending on how long the beans soaked. Cook white or brown rice according to package instructions. When done, cover and set aside until the beans are done. Add the diced tomatoes, stir, cover with lid ajar, and cook for another 10 or 15 minutes until the beans are tender and falling apart. When I was growing up, my mother had a rule of menu planning that was and is a constant in my life: Dinner has a green vegetable, a salad, a meat (protein), a carbohydrate, and something pickled. Then, no one thought of rice or potatoes or pasta or bread as a carb, but that’s what she meant. 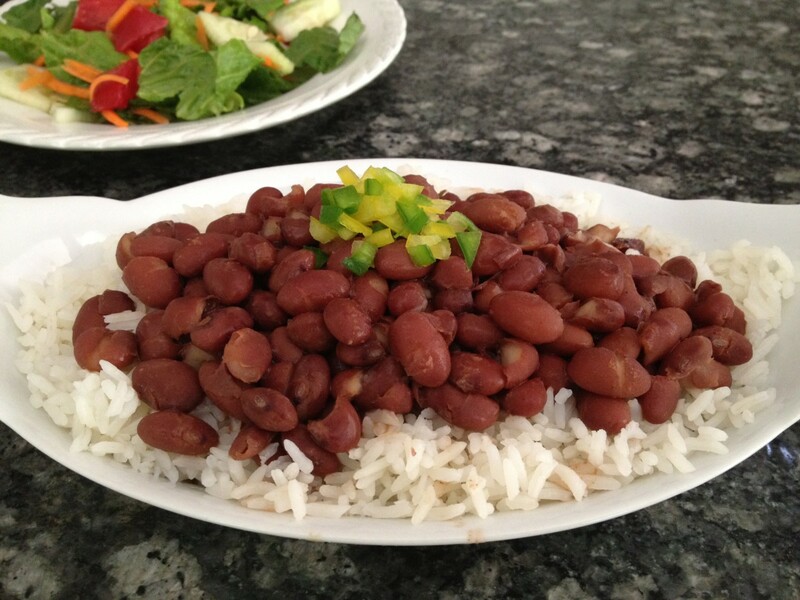 This red beans and rice dish is high in good carbs (beans and rice) and protein (again the combination of beans and rice), and although it is full of vegetables (celery, onions, green peppers, scallions), it could use a side dish of a salad or green or yellow vegetable to make it a balanced meal, according to my mother. Here are some suggestions for those sides. How Did You Like this Dish? Please leave a comment below to share your thoughts. Let us know what you think, especially once you've made this recipe. Recipes appearing in Sally’s Trove articles are original, having been created and tested in our family kitchens, unless otherwise noted. This looks so good! I like fresh food that is also cheap to make and can be made up ahead of time for meals throughout the week like this. This dish looks amazing! I can't wait to try this recipe soon. I'm a vegan who cooks creative dishes as well. If you like Pad Thai noodles I have a vegetarian receipe to share with you in my profile. I will be reading up on more of your vegetarian dishes. Great work! 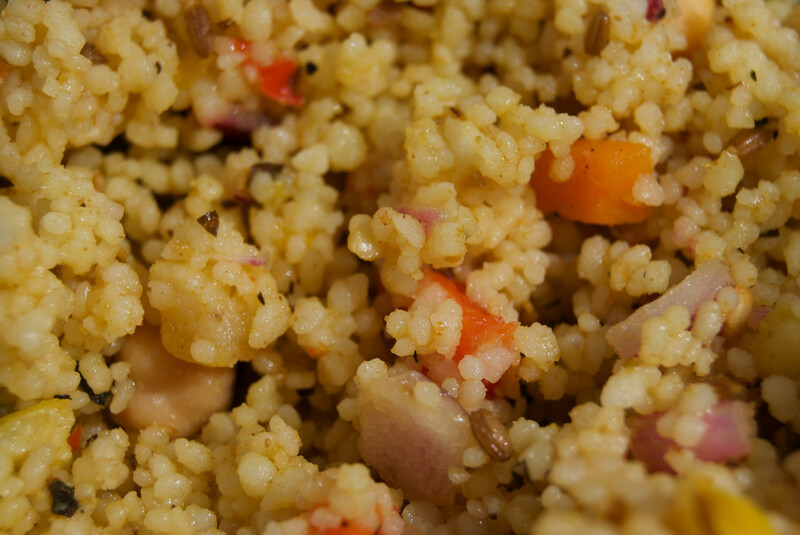 Great vegetarian recipe! 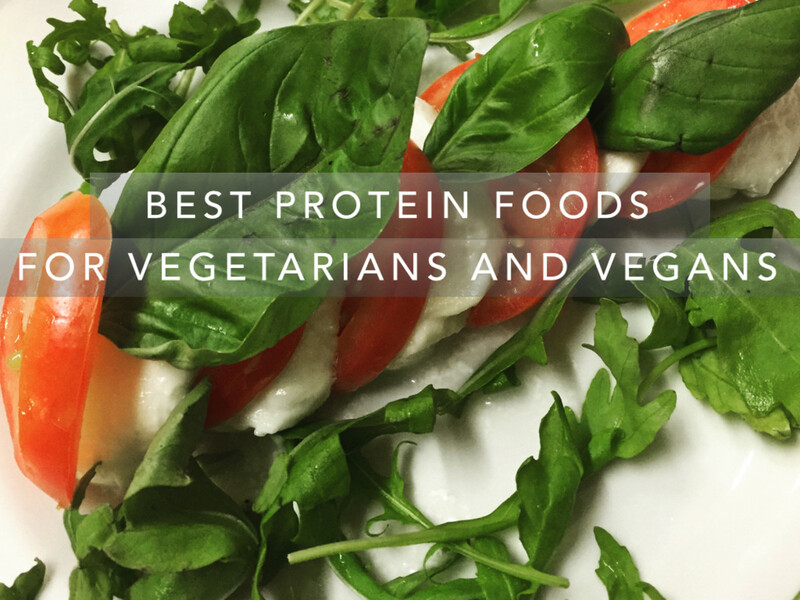 I especially like the addition of arugula, one of my favourites! Looks tasty to me. But I'm not crazy for child powder. I might give it a try sometime. Yummy recipe! Voted up! I am not a vegetarian but that dish looks darn tasty. This looks real yum. a bit different from what i normally do. i might give it a go. Beans with a little onion and rice looks delicious. Thanks for your recipe. What a perfect, nutritious menu! With all the wonders of beans being recognized this is certainly a great way to eat them! Sounds delish! I have a version where I used smoked pork necks. I think I'll combine my own recipe with this one because mine doesn't use the veggies that yours does. Must add veggies! Sally Trove This recipe sounds like a great recipe for me to try? Since I have type 2 diabetes, Thank You Sally. @Sally's Trove-This recipe looks awesome, but I think I might have some difficulty finding pink Himalyan salt. Since I have been trying to replace most of my red meat intake with beans, nuts, and other more healthy protein sources, this looks like a great recipe to try. Voted up. Great Hub!! 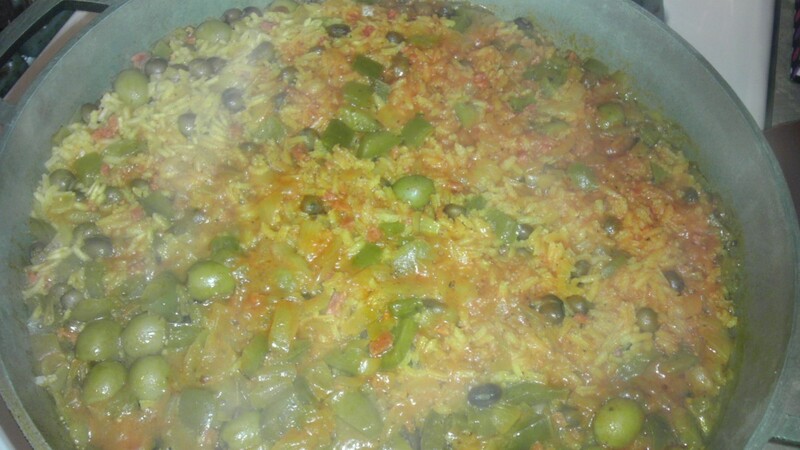 I love rice and bean recipes. Nice looking hub too. Voted up, interesting, useful, starred and re-pinned! 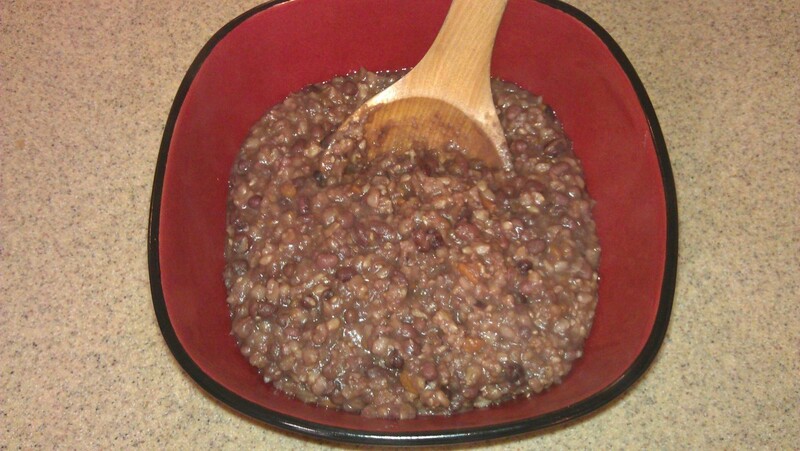 Getting to be that time of year when recipes like this Savory Vegetarian Red Bean dish really goes well. I think I have nearly all the ingredients in the pantry and refrigerator. Just need to whip up some cornbread to go with it. Delicious looking pictures. This recipe looks like another one to try. That looks so good! I don't have everything on hand right now, but am definitely going to try this. Red beans and rice...yum. I love this vegetarian style version and am adding it to my recipe files. It sounds like such a lovely dish and is perfect for a lunch or supper for me. This looks absolutely delicious. With the new year, and having just given birth to a newborn around the end of 2012, I had no choice but to succumb to a classic New Year's resolution for weight loss. We know how those go....some are successful, while other's fail miserably. This looks like a great, healthy, recipe that I will definitely give a try! Thanks for the great hub! Came back for another read, and have written it down so I can try it over the weekend, wish me luck! lol! Beans are a favorite dish of mine for a number of reasons. One is that they can be prepared in so many ways and each new way gives a new flavor for us to enjoy. This is another addition to my cooking files. It looks simple and delicious. thanks for sharing. Thanks to Daisy Mariposa for sharing this one. It looks delicious for our "Meatless Mondays" and so wholesome. Pinning, up and awesome. I think this looks delicious and, as my husband is a vegetarian, I'm keen to try it out. Was worried about "Colgin's liquid smoke" - never heard of it in the UK, but a quick look at Amazon UK says that I can get it, so this is being pinned for future reference - thank you! This looks wonderful! I am a vegetarian and a gluten free person--it makes eating a challenge sometimes! Thank you for this recipe! Thanks for publishing this great-sounding recipe. I'm a vegetarian and am always looking for new recipes to try. Great time to find this recipe to warm our bellies in single digit weather! Pictures are wonderful. KoffeeKlatch Gals, thanks for reading and commenting. Please do try it! Delicious recipe and healthy as well. I can wait to make it soon with my mom. Thanks for share with us. Voted up and YUMMY!!!!!! Carol7777, you are so welcome. Enjoy! This looks fantastic and some good health benefits also. We eat lots of beans in this house. Thanks for sharing this recipe. DDE, thank you from Croatia! Beans are a staple all the world around. I'm so glad you like this recipe. I'd like to know how you make beans and rice there. IzzyM, come back and let us know what you think. Oh yes I definitely need another red beans and rice recipe and I definitely am going to make this one-- just reading it makes me drool. Winter is coming and that is the perfect time of year for slow cooking bean dishes. And what is this liquid smoke stuff? Don't know about that, but I'm game to try. Wonderfully written, clearly explained instructions plus beautiful pix-- five stars from me and thumbs up across the board. @Scribenet, you hit the nail on the head. 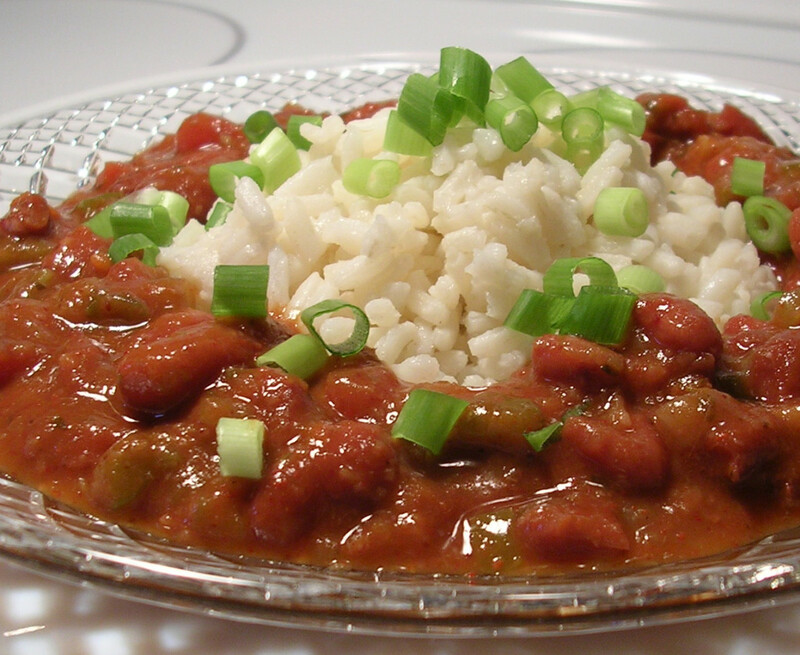 Vegetarian red beans and rice make a very budget-smart meal, they are healthy and delicious, and oh so nicely filling. Thanks so much for the share! @rebeccamealey, thank you for reading and leaving your much appreciated good words! I love red beans and rice! Great recipe, directions and superb photos! This is so good on so many levels, budget, nutrition, flavor... I can always use one more of this kind of dish because I enjoy going meatless once in a while and really enjoy the satisfaction this type of dish offers!...Sharing! @Linda, thanks for the mention of the photos. I had this hub ready to publish for quite a while, but I hadn't made the red beans and rice recently, so I didn't have a photo. I spent some time looking for a suitable shot on the net, but couldn't find one to use legally that didn't look like a pile of mud on dirty sand. Finally, the weather cooled down, I made this dish, and took about 20 shots in different lighting conditions and with different props. The photo at the top was the winner. Thanks for your good words! This sounds mouthwatering and delicious. Gave it another 5 star rating. I love cooking like you do by making big batches of things & then freezing in smaller containers. Future meals become quick and easy! Up votes and sharing! Hello, I came back to look up this recipe and to make it. It is a lot slower than I usually make it, but it is very tasty. The extra time really helps meld the flavors together. I tried to follow the recipe exactly using the ingredients I had. It is delicious! RTalloni, you are so welcome! I, also, think the comments are interesting, and very valuable, too. What a fabulous recipe--I'm very much looking forward to making this very soon! Interesting comments, as well. Good food for thought here--thanks! Nell, the flavors in this veggie dish are similar to those in a chili con carne, and I think that's what makes it so cool. There is no meat, but there's a kind of meaty flavor to it, because of the smoke. I hope you enjoy it! As you know, I love most beans. Throughout my life I've made my own chili with pinto beans, and also butter beans (lima). I'm the bean lover in my family. The first time I had red beans and rice was when my neighbor made it. I loved it. Since then, I've bought it at Popeye's, a local fast food place by my job, and it is wonderful. Beans of any kind are all right with me, red, green or black, and this looks absolutely delicious!! Am sharing this! There is a lot online about agave not being what it is said to be. So I stay clear of it now and will stick to my sugar, or honey both my sister can eat every now and then with no issue. if you want links to some of the articals about it let me know and I will post them or you can just email me for a list. @tirelesstraveler, thanks for reading and commenting. You're gonna love it! @Richard, I'm so pleased you stopped by to read this recipe hub, because beans are our friends, and thus good for us! 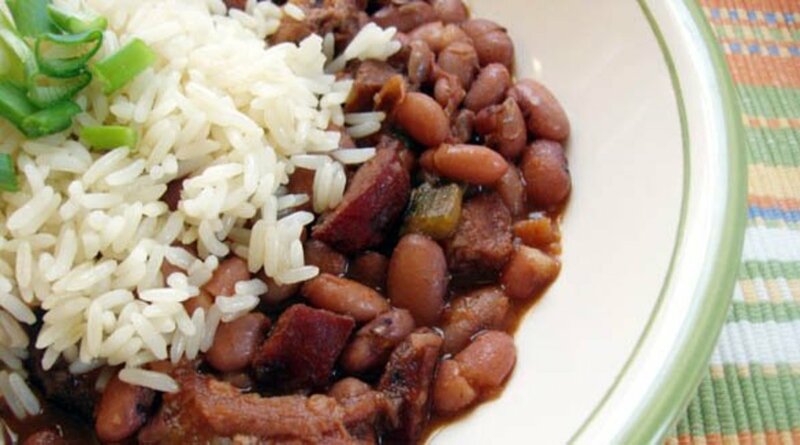 Since you are a red beans and rice fan, I'm hoping you'll add this one to your collection of favorites. :) Thanks so much for the good words. I love any kind of bean, especially red beans. I like this recipe a lot, and will certainly make it. I grew up eating beans of all kinds: dried beans are a staple in "poor folks" diets, but maybe that's why the people back then lived longer..they ate healthy foods. When the weather gets cooler, I think of making beans! Great Hub. I voted it UP, will share and Pin and Tweet. Ooops, the Pin button isn't working. Will try to come back to do that. Sheri - I normally don't visit recipe hubs. I'm too tempted to eat something I shouldn't if I do, so I just stay away. However, I'm a red beans and rice fan to the highest magnitude. This looks really good. May have to give it a try as the weather is cooling down enough to make it a perfect treat. Great Job! This looks delicious. It is certainly a must try. @Millionaire Tips, I'm so glad you are going to try this recipe with your daughter. Maybe the sweet and smoke might catch her fancy. My daughter has her preferences about things, so some things I know are taboo for her (like, not the chopped scallions for garnish), but some things are really awesome for her like the parm topper. Sometimes, who knows what our kids will eat? :) Let us know how your daughter likes this recipe. Hyphenbird, I love your comment. The weather for us folks in the northern hemisphere is screaming right now for pots of long-cooking soups to warm the house and bellies. You'll get more "smokiness" by adding more liquid smoke than my recipe calls for, so please experiment to your liking. Also, about those peppers in adobo, they really pack a kick for smoke, but also for heat. vocalcoach, I really appreciate your comment about instruction #4. It took me a few years of cooking beans to figure out that the time to cook beans from scratch is shortened a lot by never letting the pot cool off from a simmer or gentle boil. In fact, thanks to your comment, I'm going to modify #5 to include heating the additional stock to boiling (like in the microwave) before adding to the pot. I am delighted to hear that you are a red bean and rice lover. If this recipe sounds good to you, then that's a huge compliment to me. And also, thanks so much for the good words about the pics. I had this hub ready to publish a long time ago, but what I needed was a good photo of the final dish. I got frustrated with taking my own photos (couldn't get the lighting right...the dish kept looking like mud on maggots! ), and I just couldn't find a free-to-use photo anywhere on the web that looked appetizing. Finally, I read my camera's owner's manual and found out what I'd been doing wrong. LOL! The result is the first pic at the top, which I'm extremely happy with. This looks really good. I don't use agave syrup as I don't trust it, Would sugar work? I regularly make red beans and rice, but my daughter doesn't like it that much. I will have to try your recipe - I have a feeling she will love it. I love red beans and rice. This recipe looks delicious. Thanks for sharing it. Voted up and shared. This was a great time for me to find this recipe. The weather is turning cold and I love beans or soup on a chilly day. I like that hint of smokiness you promise. I have used the liquid smoke years ago but had forgotten about it. I shall get a bottle especially now I know it is vegan. Thanks for a lovely recipe Hub. The photos are wonderful. Sally - I'm drooling over this recipe. I never tire of red beans and rice. Your instructions are perfect and #4 helped me so much. I also adore onions and for some reason never thought to add them. I will now. The photos are magnificent. I'm a visual person, therefore a picture seems to help me retain instructions. Voted up and away and sharing. Thanks. Merle, I love black beans, too. I love beans! Beans don't ever have to get boring. They only have to learn to live with our gastric systems. :) Hope you try this new twist. @fpherj48, I'm honored that you read this recipe hub...I don't read too many of them, either. Unfortunately, even though they might look good, so many have been scraped from elsewhere. I'm always on the lookout for new hubbers and their original recipes, but they are hard to come by. I also have a "bank" of hubbers whom I've known for a long time whose recipe and food ideas I value. With all that said, I think our bodies tell us things we can hear, if we listen. Like you, I cut meats out of my diet over time, most rigorously in the last year, but it really wasn't a hardship. It happened little by little at first, as I found satisfying recipes with either a hint of meat or no meat, and then faster as I went on the Eat To Live program. But it seemed my body was telling my head what to do, instead of the other way around. Let it be known, though, I LOVE bacon and chicken livers. They get saved for very special days. Looks delicious. I am trying to cut meat out of my diet, so this is just the kind of recipe I need to add to my list of ideas. Thanks! @Blond Logic, now you'll have to make this recipe for your sister. :) If you eat meat, this is fabulous when you add browned ground turkey doctored up with some Worcestershire sauce, or some mildly spicy sausage. Thanks for reading and commenting! My sister makes this, and it is wonderful. When I visit her, I always ask here to make it. Great recipe. This sounds really good I bet this would be an excellent filling for tacos or burriots?